SUMMARY (Courtesy of Borders.com): New-girl Lindsay discovers all is not right at the prestigious Marlwood Academy for Girls. Popular Mandy and her clique are plotting something dangerous. What Lindsay doesn't yet realize is that Mandy and her cohorts are becoming possessed by spirits. First off, this ending was maddening! A perfect cliff hanger that will almost guarantee the readers will return- I know I will be. Even with the vast number and kinds of possession and ghost stories, this one was well done and exhilarating. Clues were planted throughout the book of what was happening but never enough for the reader to easily put together the final thing if at all- I admit that I didn’t see some of that stuff coming. The setting is somewhat typical, particularly with the history of Marlwood but at the same time, things play out in a unique way that makes everything about this story and setting something different. The asylums of the past and the common practice of lobotomies are a lovely addition to this story, even if I have read many haunting type stories related to it. It still gets to me every time because of the very nature of those activities and the ways in which they were done. Having an actual operating theatre where people could watch was an even more brilliant addition into this story. Lindsay’s character is a perfectly developed on for this plot and for what is to come. She is haunted by things in her past and fighting to keep her breakdown hidden even after it seems like everyone else knows. Things that normal people would worry about sends her into overdrive, making her fear she is having another breakdown. She fights to remain strong, even when it would be alright for her to show weakness. Her desperation to have friends even when she doesn’t know who to trust carries through all age groups but with the way Holder wrote the story, I only found myself once or twice yelling at the book, telling Lindsay she was an idiot. The outcome of her decisions was not often transparent and I many times found myself feeling like I was creeping through the woods with Lindsay or gripped in fear as I made my way through a pitch dark, unknown area. I look forward to the next installment coming Summer 2010- not only is the ending itself a huge and obvious cliff hanger but there are also a few other events that happened in the book that were never fully explained or answers- including more about Miles as well as the significance of the book in the headmistresses’ office. Even the reasons why the white head that haunts Lindsay from the start appeared- and why it was taken so easily into her room- race through my head and I am eager to find out more about the entire set up. Seven months ago, on a rainy March night, sixteen year- old Willow’s parents died in a horrible car accident. Willow was driving. Now her older brother barely speaks to her, her new classmates know her as the killer orphan girl, and Willow is blocking the pain by secretly cutting herself. But when one boy—one sensitive, soulful boy—discovers Willow’s secret, it sparks an intense relationship that turns the “safe” world Willow has created for herself upside down. Told in an extraordinary fresh voice, Willow is an unforgettable novel about one girl’s struggle to cope with tragedy, and one boy’s refusal to give up on her. Overall, not too bad. Sometimes I felt like things moved way too quickly and were disjointed between scenes but Willow's internal struggle and reasonings were well crafted. Its a hard topic and not easily broached but I thought it was done with taste here. It not only showed the effect cutting has on the person doing it and the psychological need for it- as well as the inability to properly explain it and the knowledge that until you are in that dissociated state of mind, it makes no sense- but also the way it effects others. The ending in my opinion was bitter sweet and I really liked the closing line although I felt there wasn't a full sense of closure. This is one of those books that is mental more than anything which I did like. The writing pulled me in, making me feel what Willow did and I didn't find it repetitive or boring though I know a lot of mental stories tend to do that to readers. There were a few scenes that were just outright powerful that will stick with me because of the way they were written, the content of them, and their role in the story. Watching Willow grow, both through herself and by interactions with others was moving and I really think this book should be read by any kind of teacher or educator- the cutting content is something many do not understand but it will show how to be helpful and compassionate towards the person rather than judgmental. It isn't just about recognizing the signs of a cutter- it is also about how to approach them and how to help them get past it. Understanding their need and reliance for cutting is the biggest part of the battle and I think this book, whether intentionally or not, will help people to do that. Katniss Everdeen has won the annual Hunger Games with Peeta Mellark. But it had been a victory won by defiance of the Capitol and their harsh rules. Katniss and Peeta should be happy. But there are rumors of rebellion among the subjects, and Katniss and Peeta, to their horror, are the faces of that rebellion. I actually liked this book better than the first. The idea of the Quarter Qwell was a great addition- another downright cruel activity of the government to keep things going their way and a perfect mimicry of abuse of power. I also like how the different Districts are reac ting in response to the one act of rebellion Katniss unknowingly did- and the backlash it is creating not only for her but for those she loves. But as for Katniss herself- her character bothered me in the first and it did here too. I felt like she just didn't grow and continued to act rashly and illogically. Even in her relationships with Peeta and Gale, I sometimes feel like she isn't really trying to go one way or the other. That particular love triangle, although something often seen in books, is a much needed one in this story I think. It creates tension as well as makes the reader feel for all three involved although because Peeta plays a bigger part in the story, I think most readers will side with him out of ease and access. This book transforms the story from people trying to survive to the full extent of the tyrannical, oppressive government they live under- and how to fight back on it. The ending played into this perfectly and set the stage for what is likely to be an amazing and explosive final novel and while the first book didn't leave me breathless and eager for the next, this one certainly did. My first thought on this book was that it was very much like Battle Royale in the basic idea but it has enough of its own spark and flare to make me forget that. The set up of the Games and everything leading up was well done- perfectly cruel and created with a hopeless sense of dread and loss. The way things were written managed to draw me in, making me feel that same sense of worry and fear and even hatred of the overly powerful government that is inflicting this on its constituents. One thing I really did like was that the lead up to Katniss leaving for the Games did not take a long time, and even the time in the pregame related stuff was not drawn out- everything happened at a good, steady pace. There were some parts of the actual Games that I felt dragged but at the same time, I think it did help the story because it gave a break from the action but not a break from the fear and worry and exhaustion that would come with being forced into the Arena. Katniss's character, however, did bother me. There were times where I didn't feel like her decisions made sense and she often seemed to have an irritating ability to miss obvious things. However, her decision with the berries was perfect and also set a great stage for the rest of the trilogy although I am not sure where it could go from here. As far as cliff hanger endings go, this one was only decent in my mind- it didn't leave me completely dying for the next book but it did make me want to keep reading at some point. Okay so, I figure that this is as good a place as any to post updates about my WIP novel. My prologue is written but I have yet to go back and do any revising/editing/etc. Kelli and Joni have both read it- Kelli gave me great feedback on things to move around, stuff to expand on etc... I just need to actually do it. She is my critical review person. Joni gave me the more laid back reader opinion- also important, since reader's aren't going to know as much as Kelli and listen to my hours of rambling about it. Chapter 1: Also written, totaling about 15 pages I think it was but I think it is a great first chapter that will draw in readers. Again, Kelli gave me points to look at- everything I send her is completely raw, fresh off the press with little to no editing/rereading from me. I just sit down and write it, see what comes out, and send it to her. With her suggestions however, I think it really will be a powerful beginning chapter and that pretty much makes me bounce around in excitement. Chapter 2: I have already cut out about 6 pages of stuff I had written and decided I didn't like. I am on to try 2 and I think it is going well- but still needs a lot more work... but at work this evening, I was mulling over some of the suggestions Kelli gave me for what I have so far and think I have found a great way to make things work and even thought of things for later on in the book or for a later book. Overall, I think the process is going well considering this has all been accomplished in a week- yep, I have officially been working on this one week and to be honest, I feel amazing about it. Despite having been saying since middle school I was going to be a doctor, I think this is what I was meant to do. I have a real passion for it and I love it. It comes completely naturally for me and for the most part, I am able to stop and start at will. We were in the square, in the square where I'd run, holding her, carrying her, telling her to stay alive, stay alive till we got safe, till we got to Haven so I could save her - But there weren't no safety, no safety at all, there was just him and his men...Fleeing before a relentless army, Todd has carried a desperately wounded Viola right into the hands of their worst enemy, Mayor Prentiss. Immediately separated from Viola and imprisoned, Todd is forced to learn the ways of the Mayor's new order. But what secrets are hiding just outside of town? And where is Viola? Is she even still alive? And who are the mysterious Answer? 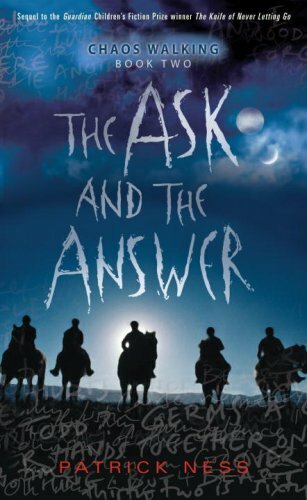 And then, one day, the bombs begin to explode..."The Ask and the Answer" is a tense, shocking and deeply moving novel of resistance under the most extreme pressure. 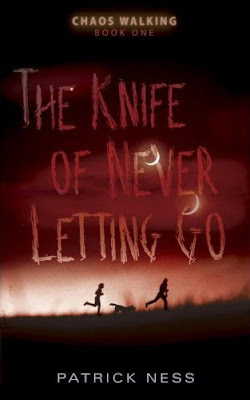 This is the second title in the "Chaos Walking" trilogy. This book picked up where the first one left off but also gave you Viola's perspective in multiple chapters. It was great to see things from her side- especially since in this universe, her thoughts are always masked from everyone. There were plenty of new elements added into this book with several twists and surprises thrown in too. As with the first book, I could see the ties to plenty of events in the world's history- the tyranny, mistreatment of the Spackle, sexism, and plenty mor...more This book picked up where the first one left off but also gave you Viola's perspective in multiple chapters. It was great to see things from her side- especially since in this universe, her thoughts are always masked from everyone. There were plenty of new elements added into this book with several twists and surprises thrown in too. As with the first book, I could see the ties to plenty of events in the world's history- the tyranny, mistreatment of the Spackle, sexism, and plenty more. The constant use of war for one group to gain what they want is so prevalent through history and in novels but it was done very well in this book. As a reader, it was hard to decide which side was right and it was even harder to really know what characters to trust. Ness writes in such a way that I fell in love with and pitied a character that I didn't think could gain any kind of positive emotion. Overall, I enjoyed this book as much as the first one and finished it in just a few days despite work, etc. It is hard to put down and the cliff hanger ending has again left my mind racing with possibilities of where things might go from here. Todd Hewitt is the last boy in Prentisstown. But Prentisstown isn't like other towns. Everyone can hear everyone else's thoughts in a constant, overwhelming, never-ending Noise. There is no privacy. There are no secrets. First and foremost, I loved the dialect this book was written in. The misspellings and the slang used definitely helps the reader to understand Todd, especially when he starts to meet people outside of the area he grew up in. The world that has been set up is also an intriguing one, particularly since New World was on discovered and settled in an attempt to get out of the not so great Old World, much in the way the United States were settled and populated. Both good and bad things were discovered and the treatment and distrust of the natives also echoes plenty of times in our own history. While it would seem that a book that covers only Todd’s escape and attempts to get to his final destination would be dragging and repetitive, this book was anything but. There were plenty events and people introduced and encounters and the reader was able to follow along with Todd as he discovered an unending list of things about the world he lived in that had always been hidden from him. The initial rivalry between Viola and Todd also drew me in since it is the kind of thing that shows up in plenty of books yet their particular relationship and reasons for mistrust were vastly different. I also enjoyed the glimpse into Manchee’s mind and found that to be the most humorous and relieving parts of the book since it definitely rang true to dogs’ nature- no matter what, they find something to be happy and excited about and enjoy the little things in life. Overall, this novel was a well done story set in an entirely different world than our own but still mirrored this one enough that it was easy for the reader to follow and understand. 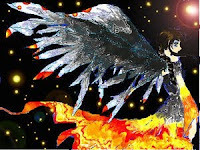 "Half-human, half-angel, Meridian Sozu has a dark responsibility. "Sixteen-year-old Meridian has been surrounded by death ever since she can remember. As a child, insects, mice, and salamanders would burrow into her bedclothes and die. At her elementary school, she was blamed for a classmate's tragic accident. And on her sixteenth birthday, a car crashes in front of her family home--and Meridian's body explodes in pain. Before she can fully recover, Meridian is told that she's a danger to her family and hustled off to her great-aunt's house in Revelation, Colorado. It's there that she learns that she is a Fenestra--the half-angel, half-human link between the living and the dead. 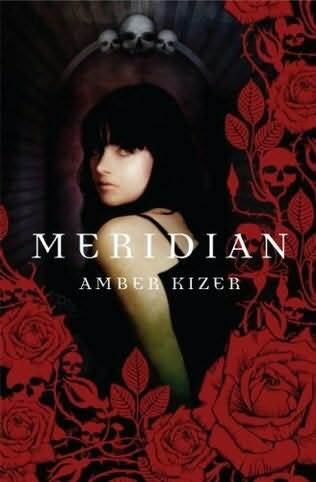 But Meridian and her sworn protector and love, Tens, face great danger from the Aternocti, a band of dark forces who capture vulnerable souls on the brink of death and cause chaos. The pace at the beginning and end of this book were fast and interesting but I did feel like the middle lagged. I started to feel like it was a bit repetitious although I do realize and respect that a good part of the book was the relationship between Meridian and Tens did need time to evolve which is something more mental than action. The action type events were for the most part inserted at good intervals to keep the reader interested because it seemed like whenever I started to feel like it was dragging, shortly after something else would happen. The world created in this book is a very original one and a nice take on what happens after death. The metaphor of the window was easy yet clear and gave the reader a very good way to relate and understand what was happening. This was a creative take on a well discussed topic. My personal favorite character was definitely Tens. There were times Meridian rubbed me the wrong way but I quickly grew to love Tens. It was hard at first to believe how quickly they fell for each other but that was with a human mindset rather than something that considered the world they were actually in. Once I took that into consideration, it felt right and their progression for the most part was logical. Descended from an ancient line of creatures that gain their energy from human tears, Cassandra Gray depends on human sorrow to live. Only Cass has grown tired of living this life and wants to live like a human, especially now that she's met someone worth fighting for. In a time of vampire obsessions, the idea behind this book was fantastic. I loved the idea of some other creature that is dependent on humans and feeds off them but needs something besides their blood. On that note, I also had a great appreciation for Samantha and her obsession with classical vampires. Often times, it was hard to remember that Cass really was just a high school student and not someone that was essentially immortal and had been through this for decades rather than just a few years, given her voice and her view on things. Given that, there were times I felt like things didn’t really progress in a logical way to the character, including the changes Scott introduced in her- sometimes it seemed like it changed too quickly and without any real prodding but at the same time, if everything was for love it still would seem logical. Overall, I did like the book as well as the shifts between typical, drama filled high school and the deeper going ons of Cass’ life and family. I also thought Scott was a very adorable character and the incorporation of religion into the book was also well done- even for nonreligious readers, the addition won’t detract from the story or put it in an ill light. I am a 23 year old, soon to be 24, bibliophile residing in Dallas, TX. A huge part of my free time is spent reading and/or writing. So far, I have only dabbled in the world of fan fiction but only to improve my skills and am now in the stages of planning out a trilogy that will be young adult fantasy. I have the overall idea/outline figured out for the most part and am working on my character sketches and then I will be diving headfirst into book 1. Right now, I am on a YA book kick and have been in it since about November 2008. I tend to buy books faster than I can read them but keep a steady pace going through them of 2-3 per week. I get down time at work where I read or write, plus my lunch breaks, before bed, in the evenings, etc. As I finish a book, I will be putting the review up on here, as well as on my Goodreads site (username flaming1325, as is my username for fanfiction.net where my Twilight based fanfic can be found). I also plan to go back and work on reviewing books that I have marked as read on my Goodreads site but have yet to actually do the review and will be importing those into here as well.